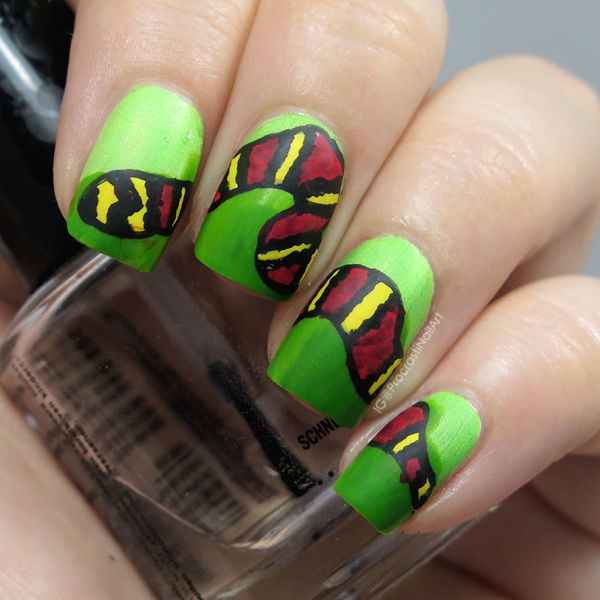 Check below for more info and pics of this snek-y snek-y mani! I started off layering up levels of green for my grassy base - My Indie Polish Last Summer Picnic over white was first, and then from the bottom I built up layers of OPI Landscape Artist. 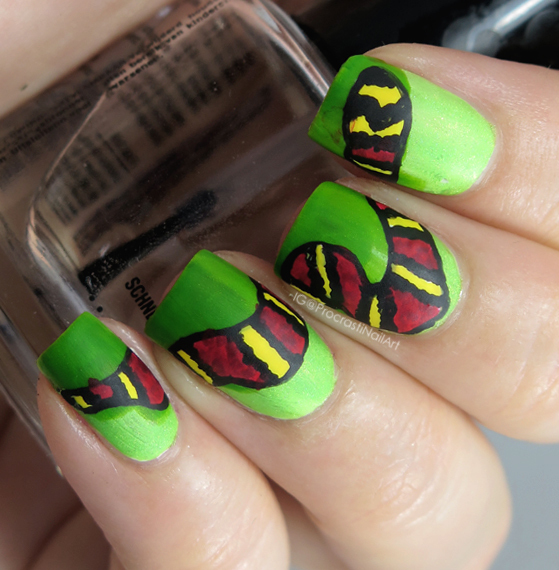 To draw my snake I sketched out the design with White Acrylic Paint and then coloured in the bands of colour with red (OPI Over & Over A-Gwen - mixed with some black acrylic for detail/shading here and there), yellow (OPI My Twin Mimmy) and Black Acrylic Paint. 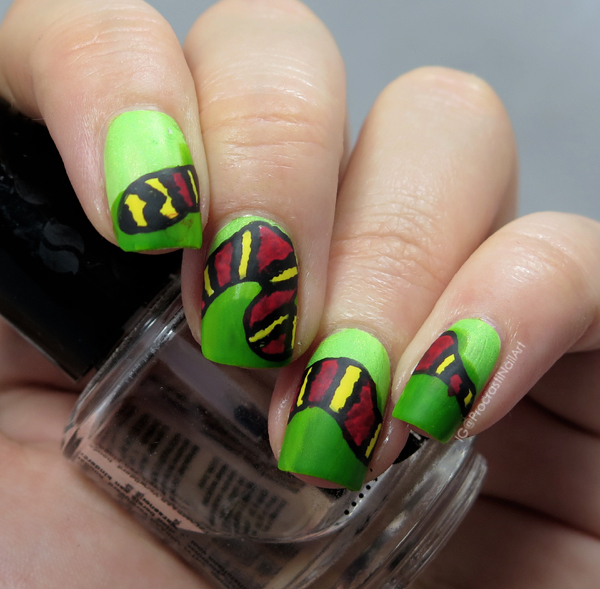 I finished the whole thing off with some matte top coat! I think this guy is friggen adorable and I smile every time I see him on my nails (because I still haven't taken him off)! There's also just something about putting a matte coat over freehanded nails that makes it look so much better IMO. Is it just me? Or do you feel that way, too? 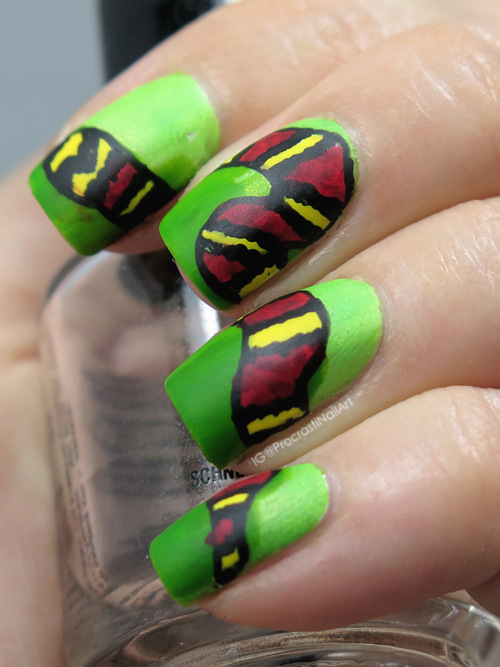 Make sure to check out the other fab DD manis below before you leave as well - everyone is blowing me away this week! Thiisssssss issss ssssso cool! :) I agree with you - mattifying free hand really gives it that little something extra. Your snake looks pretty great! So many snakes are so beautiful! Love this look! 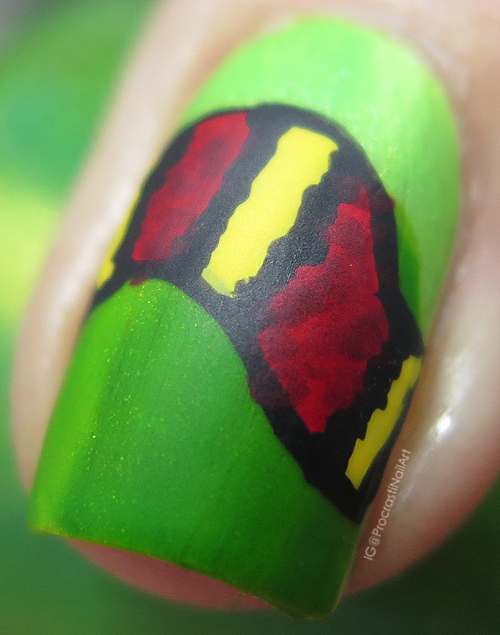 Love how the design carries on to the nails so perfectly! 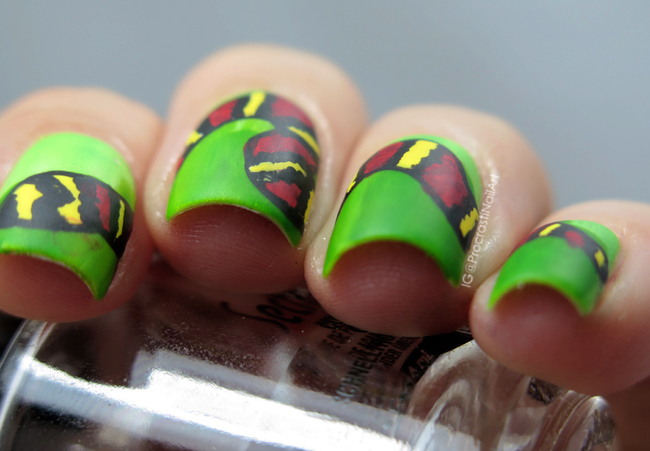 Eeekk something is slithering over your nailsssssss!!! Hahaha awesome!! !